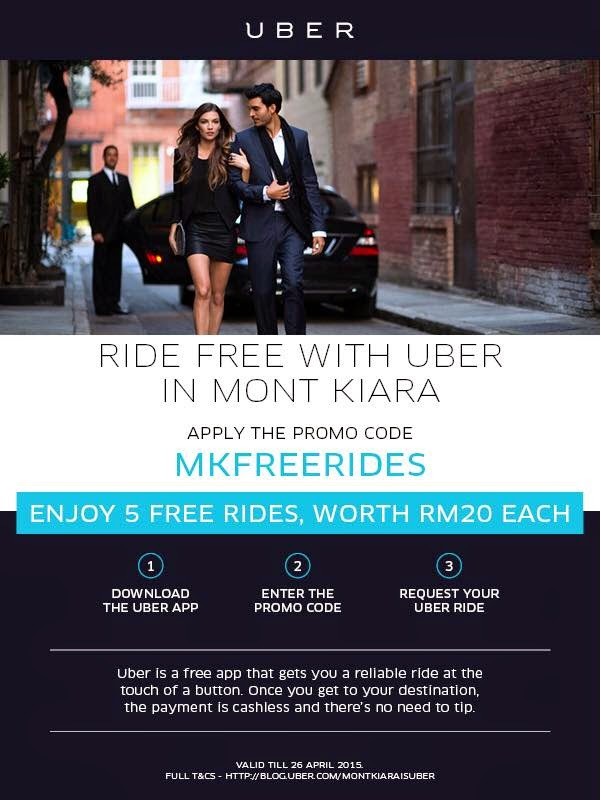 Hey everyone, just sending a friendly reminder to grab this awesome opportunity of free rides from Uber for trips around Mont kiara. As we are all quite aware, that Mont Kiara is such a happening place hence the jam & parking can be quite tedious doesn't matter whether its day or night. Anyway it's a Friday, so why not enjoy your longer lunch break or get a ride to prayers in the comfy back seat of your friendly neighbourhood uber drivers instead of having to figure out where to squeeze your vehicle outside the nearest mosque. Lol. Like i said it's FREE [PERCUMA] and no hidden costs! All you have to do is install Uber on your phone and register your free account. You would be wondering this code is only valid for Mont Kiara area ke? Yes, any of your trips that STARTS or ENDS at Mont Kiara, you are applicable for this promotion. "For your ride to be free, your trip must either start OR end in Mont Kiara, Desa Sri Hartamas, Taman Sri Hartamas, Publika, Plaza Damas, Solaris Mont Kiara and Solaris Dutamas.Rides are valid from 8 April 2015 to 26 April 2015 only." Go to your settings on the left hand side, click on "PROMOTIONS". 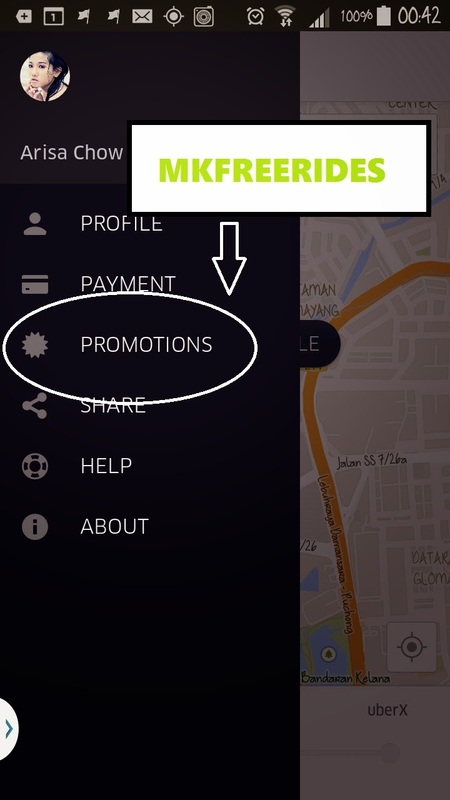 Fill in with the promotion code "MKFREERIDES" to redeem your free 5 trips worth RM20 each, means that's a total of RM100! And if you are not planning to go around Mont Kiara area, no worries as i have a special RM15 voucher for you, valid on your first Uber ride if you have not experienced Uber services before.